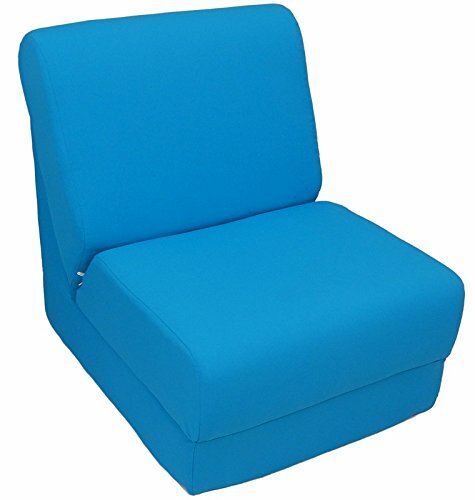 This comfortable versatile sleeper chair is a big hit with tweens and young teens. It is a sturdy yet light weight chair for their rooms and just the thing for friends spending the night. Flip out the chair to make an instant sleeper 64" Inch long. Put two or more chairs together side by side to make a sectional. The possibilities are endless! It should be noted that while this chair is large enough to seat many older teens the fold out bed is 64 Inch ( 5' 4" ) long, Slip covered for easy care. Proudly made in the USA!.